4000 series access control modules are able to work as stand-alone modules or can be incorporated with audio or video door entry systems. 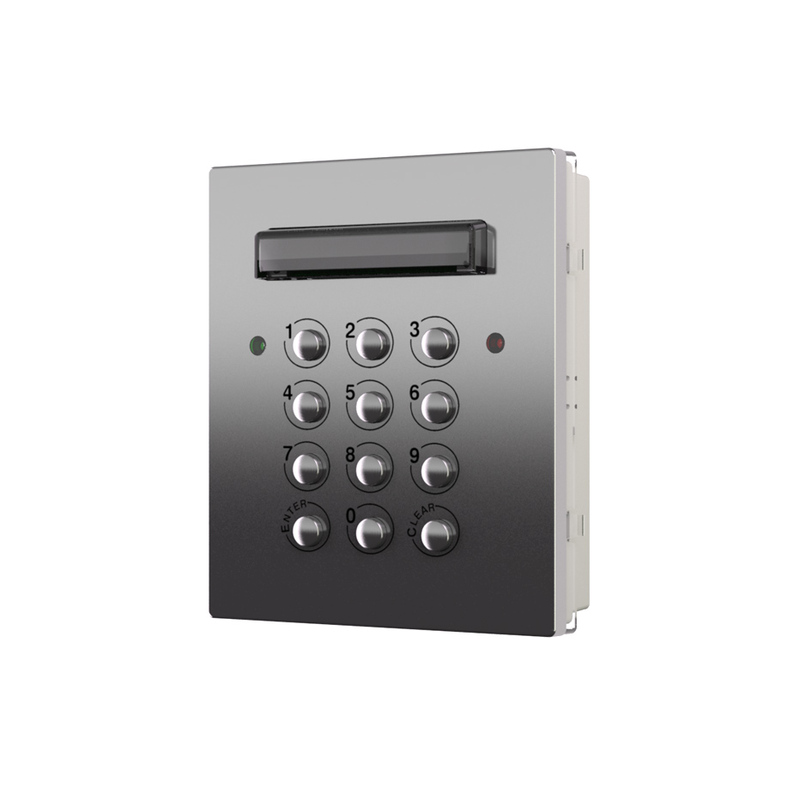 The 4800 and 4900 codelock modules are completely stand alone and can be housed individually in a single housed frame, or along side an audio or audio/video intercom. The 4800 codelock allows for 3 codes, and also has 3 relay outputs relating to each code. The 4900 codelock allows for up to 100 codes with options to assign individual codes to 1 or 3 relay outputs. All relay outputs have dry change over contacts, and each output can be programmed from 1-99 seconds or latching. 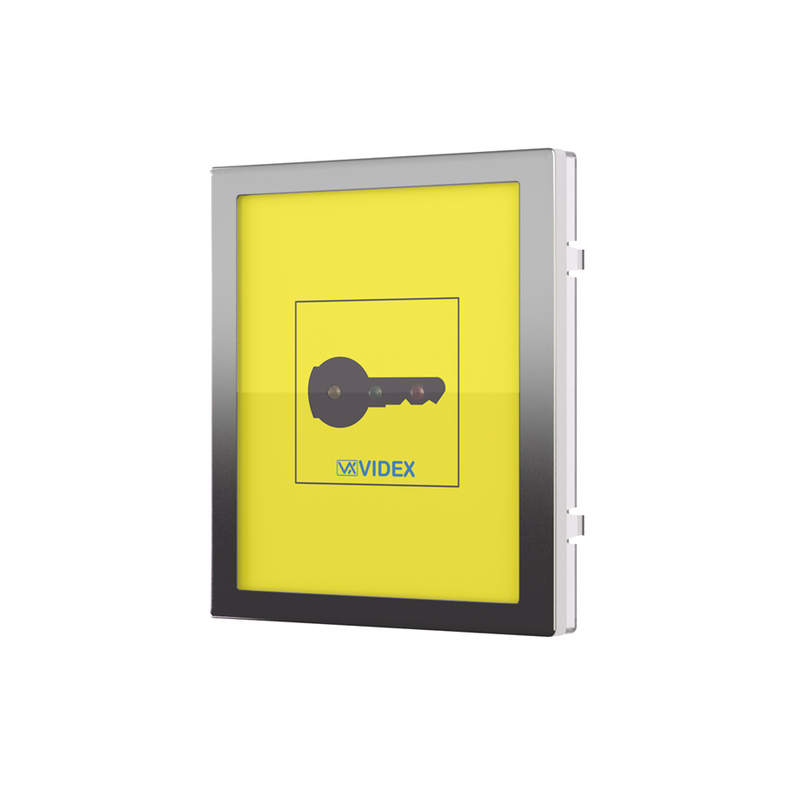 The 4850 is a stand alone proximity module where programming of fobs/cards is carried out at the reader using a simple programming menu, buttons and LED’s, up to 100 cards/fobs can be programmed. Only an external psu is required(12-24v ac/dc). 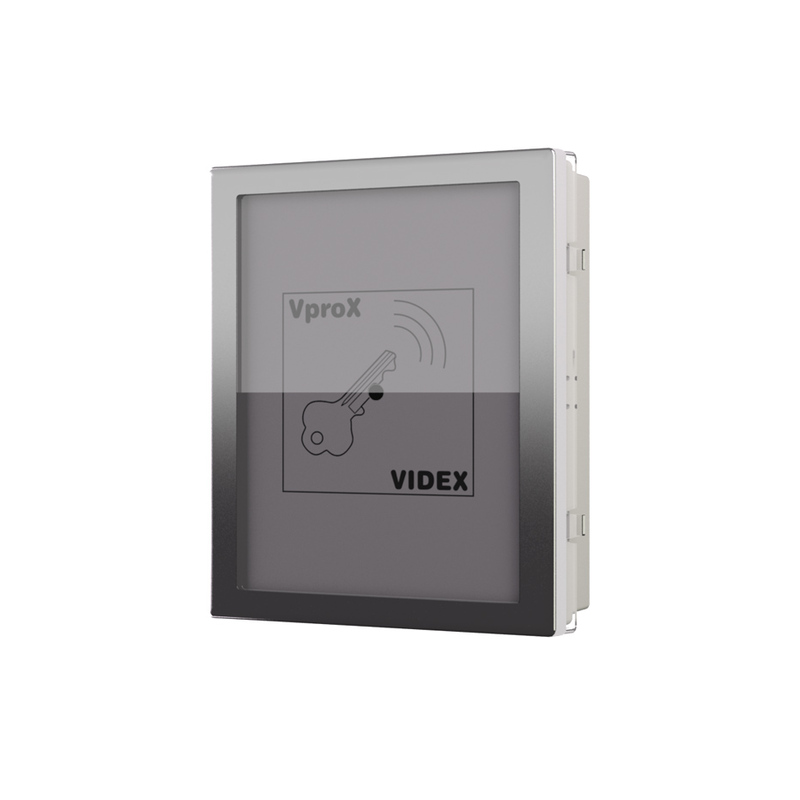 Includes a dry contact relay output which can be programmed from 1-99 seconds or latching.